Produttori del Barbaresco`s history is totally interwoven with the general history of Barbaresco wine. It can trace it`s origins way back to Cantine sociali, one of the first co-operatives in the world, founded in 1894 by Domizio Cavazza. He was the first to recognize that Nebbiolo wines from Barbaresco can match the Nebbiolo wines of the great Barolo. 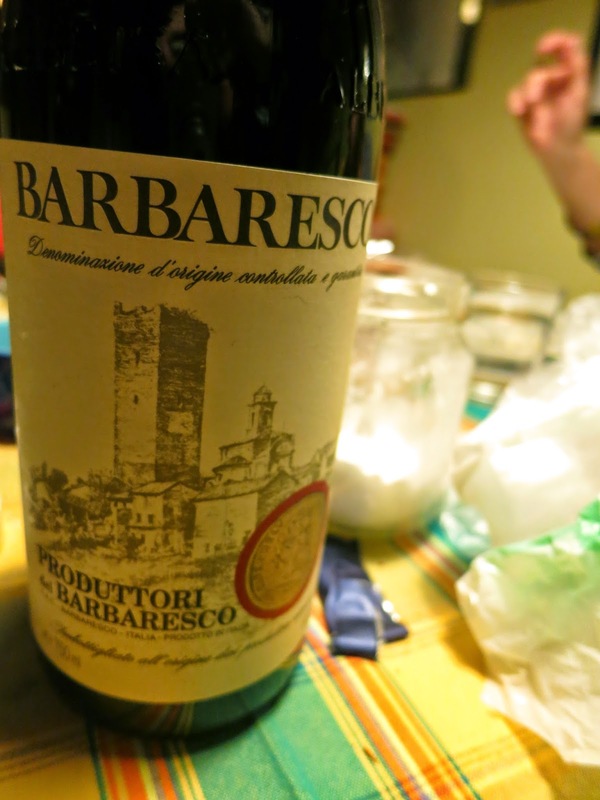 Produttori del Barbaresco is one of my all time favorites. There`s not many wineries that I respect as much as PdB. The outstanding quality, high scores year after year, great history, pedigree of great vintages, and still they are reasonably priced. One of the great values of wine world. For example this, with 16 euros(Ok, I made a great deal, well below the average price), you get traditionally crafted, earthy, complex, truly age-worthy, world class wine. Not many winerys, or wine styles/regions can match up with that. Kudos! Nice aromas of raspberries, forest floor with flowers, tar, some leather. On the palate bright strawberries and sour cherry, but in restrained manner. The fruit is almost like in a classy suit, smoking pipe and talking about philosophy and arts. Actually almost a clone of many 08 Barbarescos I´ve had recently. Restrained, austere, earthy, delicious. Tannins are firm but polished. Earthy, dry and very savory and salty aftertaste with bright raspberry, liquorice, tobacco, cacao, and ashy tannins. Old world at its best! All the elements of a classic Barbaresco, and the classical 08 vintage highlights that even more. A hallmark of the vintage. I`m actually pretty convinced I would recognize this as a 08 Barbaresco in a blind tasting. This is a wine I would like to drink on a fishing trip, lets say somewhere in north Lapland, at a campfire, with self caught, and grilled trout. And smoke a bowl of pipe after. Very "manly" and dark wine. Great showing from the co-operative. The wine woke up memories from trips to Lapland and lake Finland, and this piece by Sibelius came to mind. Also quite funny that it was composed in 1895, so one year after the foundation of Cantine sociali. Sibelius would have probably loved this wine.. So, my wine - music pairing is: Produttori del Barbaresco 08 - Jean Sibelius "Swan of Tuonela"